KVS Result 2019: PGT, TGT, PRT Results, Interview Schedule Announced. 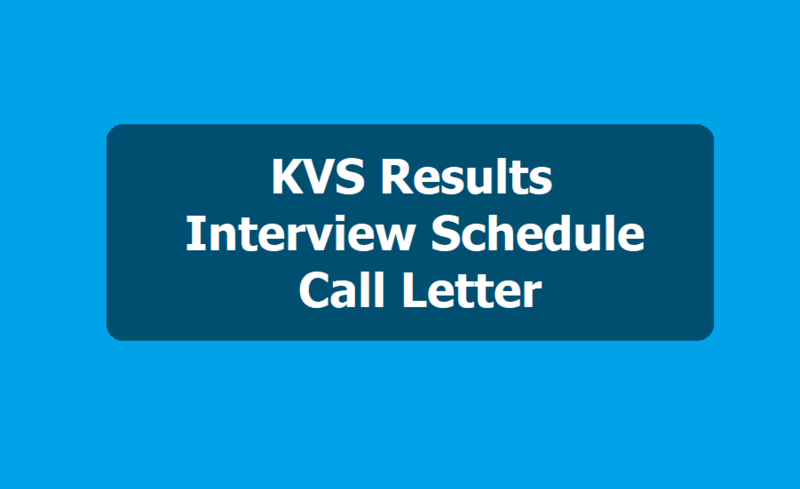 KVS PGTs, TGTs, PRTs Results, Interview Schedule, Call letter 2019 (List of candidates shortlisted for interview): Kendriya Vidyalaya Sangathan (KVS) has announced the written examinations results for the PGT, TGT and PRT recruitment held in December last year. With this KVS results, the KV Sangathan will be conducting interviews next month for the post of PGTs, TGTs, PRT to be filled through direct recruitment. The list of the candidates who have been shortlisted for interview as per cut-off marks fixed by KVS in the written examination held on December 22, 2018 and December 23, 2018 has been published on the official website kvsangathan.nic.in along with the interview schedule and cut-off details. KVS Librarians Recruitment Results 2019: The Kendriya Vidyalaya Sangathan (KVS) has released the written exam results for the Librarian posts. The KVS Librarian result and list of candidates selected for interview round is now available on the official website of the Kendriya Vidyalaya Sangathan. The candidates who appeared for the KVS Librarian written exam now need to appear for interview session also which will be of 60 minutes. The KVS will conduct the interview of left out candidates for the post of Librarian on February 22, 2019. The list of remaining candidates shortlisted for interview, venue of the interview, date of interview is available on KVS website. The shortlisted candidates may download their letter of the interview and other relevant documents such as bio-data, NOC/Service/Vigilance Certification and OBC certificates etc. from KVS website under Employment Notice/ Interview Notice. The link for downloading the interview letter will be released soon on KVS website. The Interview will be held at Kendriya Vidyalaya, JNU Old Campus, Baba Gang Nath Marg, Near Ber Sarai, New Delhi - 110067. The Kendriya Vidyalaya Sangathan (KVS) has released the list of the candidates who are shortlisted for the interview for the post of PRT and TGT, on KVS official website- kvsangathan.nic.in. The TGT list of Interview is for the subject teachers of - Hindi, English, Sanskrit, Science, Maths and Social Studies. Candidates are informed that the Interview for the PRT’s is to be conducted from February 25-27, 2019. While the Interview for the TGT will begin from February 14, 2019 and conclude on February 21, 2019. KVS has already released the list of shortlisted candidates for the PGT's and TGT's (Misc.Category) on January 24, 2019. 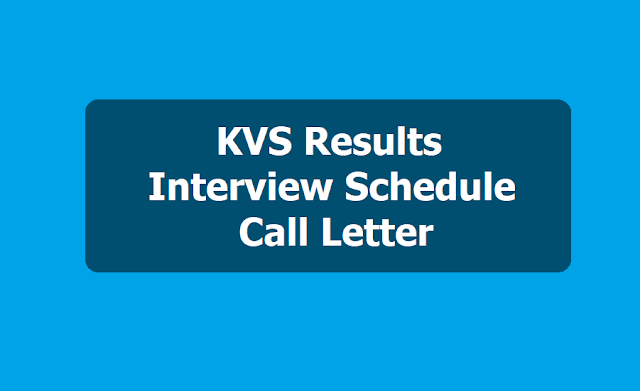 Click on the link given here to check the list of candidates selected for interview process as part of direct recruitment in KVS based on their KVS PGT and TGT written exam results. According to the KVS result notification, the address of the venue of interview will be provided in the letter of interview. The shortlisted candidates may download their letter of interview and other relevant documents i.e. Bio-Data, NOC/Service/Vigilance Certificate (NOC/Service/Vigilance Certificate in the case of Government servant only) and OBC certificate etc. from KVS website i.e. www.kvsangathan.nic.in under Employment Notice/Interview Notice, said the KVS PGT results notification. "The weblink for downloading the interview letter will be available on KVS website very soon. Request for change of interview venue will not be entertained," said KVS TGT results notification.